Awwwww. That was pretty much my reaction to the end of this episode, with 42 year old Emma, aka the patient-of-the-week, lovingly holding her (just barely!) saved newborn baby. 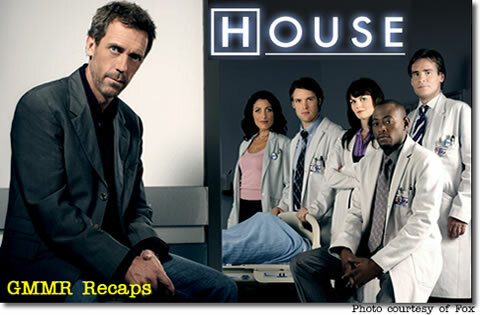 And this time, it was all thanks to Cuddy, who surprisingly took on the “House”-type role this episode of being the only one who’s willing to do risky and crazy things in order to save the patient (which finally made her sympathize with and understand how House feels in these situations). Of course, the fact that the “patient” this time was really Emma’s unborn baby/fetus made it a very personal mission for Madame Cuddy – who herself is also in her forties and trying desperately to have a baby by in vitro, just like Emma did. This, of course, brought up an interesting point: according to Wilson, the reason House is able to be risky and save lives is because he’s objective – he doesn’t really care about the patients personally. But is that really true, though? Because from what I see, House sure seems to care quite a lot about whether a patient lives or dies. He may insult the patients, but he will fight to the bitter end to save their lives. I don’t know… it just seems that if one were truly objective, one wouldn’t get as crazy as House does about saving his patients’ lives. What do you guys think? And speaking of “Aw” moments, how about that scene where the unborn baby/fetus actually grabs House’s finger during the surgery?!?! Wow. I know some of you out there might think that that moment was schmaltzy or manipulative, but I thought it was a pretty special moment – especially since that baby’s hand looked so incredibly real!!!! Of course, the moment was diffused by House’s sarcastic, “Sorry, I just realized I forgot to TiVo Alien” remark. But still… it was a very interesting moment. I don’t think this show was trying to come down firmly on the pro-life side of the abortion issue – remember, in past shows, girls have gotten abortions and it’s been shown as the right thing for them to do – but it is interesting that this episode seemed to be presenting both sides fairly. And hey, I’m all about giving each side of an argument a fair chance. Nice one, House. Nice one. LaLa is a writer who currently resides in LaLa Land, aka Los Angeles. LaLa also likes to sing. LaLa also knows some lawyers in a law office. LaLa is also prone to making bad jokes, like this one. And of course, LaLa also loves her some quality television shows with quality actors on them, like House… and The Office… and 24… and, well, pretty much any smartly written show that doesn’t include a fat guy with a hot skinny wife or the words “two and a half men” in the title. It was a great episode, loved the role reversal with House and Cuddy. The scene with the fetus grabbing House finger was taken from a true medical moment just like that . My sister had sent me the picture of just that thing happening during a surgery, many weeks ago. It still was just astounding to watch House at the end of the episode looking at that same finger and rubbing it with his thumb. House is a closet softy. Can’t wait for Huddy to happen to let us see a little softer side yet. Great recap LaLa. I was a big fan of this episode. I really like when we get good patients that kind of “get” House. They aren’t reduced to tears over his insensibilities. These are the type of patients that House respects a bit more and has better overall banter with. I thought Cuddy was a little over the top last night to the point she was transparent. When is she going to ask House to be the father of her baby already? Cameron annoyed the hell out of me last night. What is her obsession with House when she has pretty boy Chase in her bed? Seriously, GMMR, seriously. Cameron really needs to read “He’s Just Not That Into You”, get over House, and then finally appreciate sweet, loving pretty boy Chase. And yes, Cuddy also needs to get over herself and ask House to father her baby. I would love to see House as a father! How awesome/hilarious would that be? I seriously bawled when the tiny baby/fetus hand touched House’s! It was a really touching moment. I liked all the references to Chase eventually breaking Cameron’s heart when it looks like it’ll be the other way around. Thanks for the great recap!